To be clear, I do not endorse cut and paste e-mail templates. Learning how to write an effective email is an art form. And, while there is no one way that guarantees each and every cold email to get opened and responded to (if you have heard of this happening, let me know), we can apply certain techniques and approaches that can increase our chances of starting a conversation with prospects that will take us through the sales process. I have experience writing cold emails, but am really writing this post for many clients I have worked with who are based in India and have been trying to increase their open, response and close rates with prospective US clients. I will share three video tutorials in this post with an outline of the highlights and where applicable, I will share a sample email written in the suggested format. 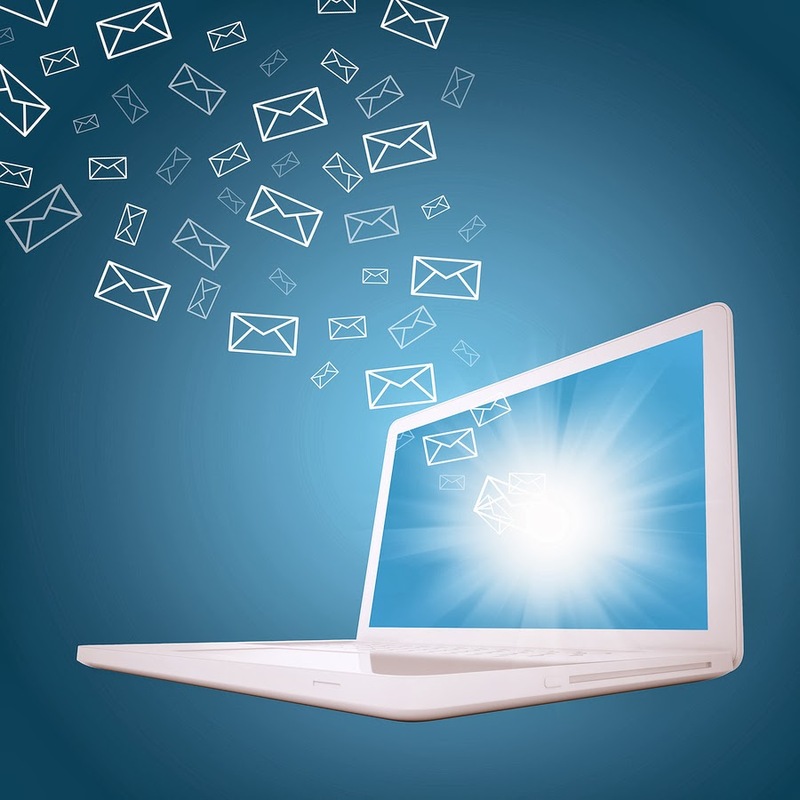 Putting yourself in the shoes of the reader of your email. How are they seeing the email? Probably just browsing subject lines and first sentence. Make them simple, to the point, and written for the person you are writing to. Drop flowery language and fancy words. Try to make it more conversational. Aim to be respectful with a hint of casualness, but not to familiar or unprofessional. Name of person you are writing to, company name, why your product or service is a good match for them. Make the email super short. Do not use this email to education. The email should be short, eliminate attachments as they probably won’t be read anyhow. Statements don’t engage. Use a question. Assure a question mark is used at the end of that question. This may seem like an obvious thing to do, but I have seen many emails with questions that end with a period (full stop), which will be read more like a demand, not a polite question meant to spark conversation and curiosity. I liked this approach because it helps us to look at the cold email from the perspective of the reader. Also, it will take a little effort on the part of the writer to do a little research to tailor their message to the prospect. No one likes to get the same messages as everyone else (we call that a 'cookie cutter' message). I am sure you have gotten those emails before. You open it and just know this is a message everyone else has got, it is not tailored to your need or your business. And, what happens to it? It's deleted, of course. Be conversational. Don't use fancy English (do not use of "esteemed company" or "esteemed client," for example). Use simple English and short, sweet sentences. Avoid run on sentences or questions that are multiple questions in one. Also, be careful about attachments. Remember, who you are writing to is busy. Will it be electronic clutter or a quick and impactful reference? It may also be relevant to review your e-mail signature. Make it short, impactful, and not more than one or two links. If there are images in the signature, limit the number of images or select only ones relevant to the client you are trying to target. James suggests a simple approach of not using more than 10 words in the subject line and body of the email to get attention. I've outlined that below using a template (wherever there is bold text, you can replace it with your information). 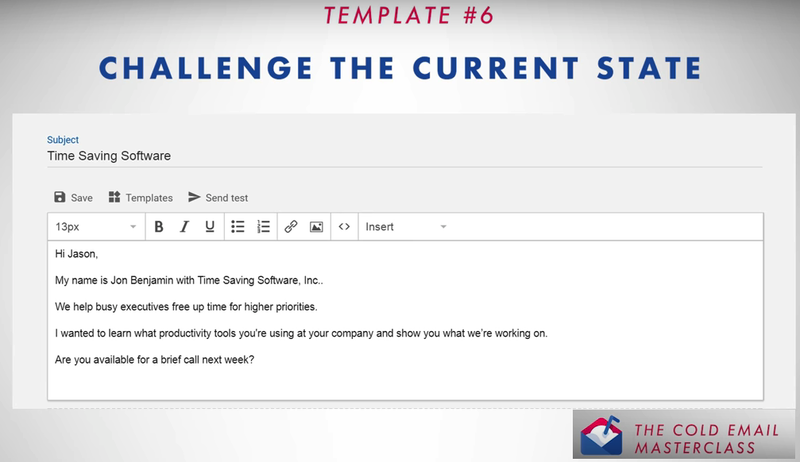 Subject line: Are you interested in working more effectively with US clients? Reply and let me know. Use a response that seems natural, like a conversation, and nothing salesy or pushy. In most cases, it is ideal to use a question here rather than a statement. Do not forget the question mark at the end of the question! After their second response, ask them to jump on a call or request a time to talk with them. It is important when trying to engage with US clients to ASK for the meeting in the form of a question with a question mark, not a statement with a full stop. Do: When would you like to jump on a call? Don't: Let's jump on a call tomorrow at 2pm your time. Do: Would you be free tomorrow at 3pm to talk? Don't: Would you be free tomorrow at 3pm to talk. If you are requesting something, you are asking for something, so it must be a question with a question mark at the end. Again, this may seem basic, but in the hundreds of emails I have reviewed over the last 5-7 years written by India-based teams, sales professionals, and others, I have lost count on how many times I have had to correct this problem. For more examples on how stakeholders in the United States will write meeting requests and tips to accept or decline meetings, see this post. Subject line: Are you still interested in working more effectively with US clients? 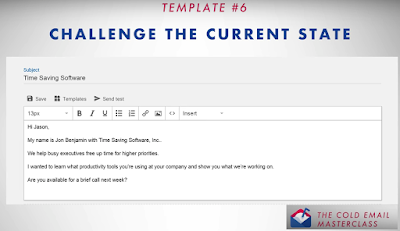 In this video, Sujan Patel shares six different templates to use. Again, the reason I pick out these templates is that he is giving a formula that forces you to be creative with your language and fill in the blanks with the information that will sway that prospect in that situation. Let's take a look at some of the templates. Note: In all the samples below that I have given example text for, I have not inserted the greeting and closing. Do not forget this in your email. Subject line: What would you do with more time in your day? Attention: How would you use your time if your development teams could drive the meetings in your place? Interest: I ask because I have worked with managers and teams across India who have said they aren't able to focus on their managerial tasks because they were spending too much time on client calls and escalations because their client facing teams depended too much on them. Desire: Just imagine what you could achieve with more hours in a week. Interest: I look forward to sharing how we can create a unique intervention to fit your team's needs. Would you have some free time next week to talk? Intro: Hello! My name is Jennifer Kumar. I know you get a lot of emails, so I'll make this brief. Describe: I came across your profile, and noticed your team in the US works with offshore teams in India. Ask: Would you like to get on a call to discuss how we can help your teams work more effectively across cultures? Praise: Congrats on your partnership with (client name) I saw posted on your LinkedIn's company page. That is an exciting next step in your company's journey! Picture: I am Jennifer Kumar, an American who has worked with offshore teams in India since 2011. Push: I have compiled 6 tips that your teams in US could use to build relationships and work more effectively with their Indian counterparts. Hope you find this article useful. I hope some of the ideas in this post are helpful for you and your sales team as you craft your cold emails. If you need any help, or would like any help in reviewing the copy or Americanizing the English in your cold emails, follow up emails and other email communication with US clients, get in touch with us. 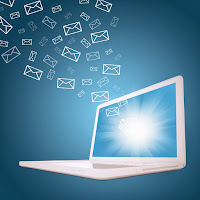 Jennifer Kumar, author of this post works with teams like yours to improve email skills with sales teams, client facing project teams and other stakeholders in addition to building client facing skills on virtual, cross-cultural project teams. Contact us to know more.